Last week, I came across some online news articles about a new study that suggests that young children who have better than average reading skills, will likely possess higher general intelligence when they develop into teens. A new study published in the journal Child Development finds that having strong reading skills as a child is a predictor for higher intelligence levels as a young adult. Researchers from University of Edinburgh and King’s College London, both in the UK, have discovered among 1890 pairs of identical twins, children who had a higher reading ability by the age of 7 proceeded to perform better on intelligence tests when they became adolescents. The identical twins went through reading and intelligence tests over the course of nine years at the age of seven, nine, 10, 12 and 16, to see if there’s a correlation between reading ability and intellectual abilities. 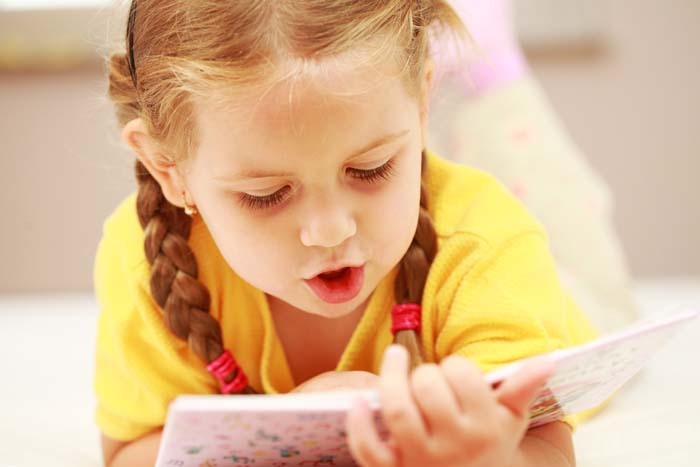 The research findings suggest that beyond mere literacy, learning to read at an early age not only make smarter kids, but could impact a wide range of skills such as verbal intelligence and reasoning later in life. Psychologist Dr Stuart Ritchie, of the University of Edinburgh, said: ‘We found that those who are better at reading tend to be smarter later in their development. Even at the age of seven you can already see the effect. It is perhaps not a shock to learn that better readers develop higher levels of verbal reasoning. Besides the standard IQ tests, the researchers also found that children who were better at reading tended to perform better at completing pictures, observing trends and identifying patterns. Since identical twins share the same genes and grow up in the same home, the differences in genes, socio-economic and environmental factors could be cast aside. This in turn allowed the researchers to more accurately pinpoint whether early differences in reading abilities would link to a difference in intelligence level later on. The researchers’ conclusion is that there’s a difference. The scientists can’t ascertain for sure what caused one twin to have a higher reading ability than the other. It might be due to a positive teacher who nurtured the reading skills, or it could be due to the kid having an early interest in books and reading. We can only guess. So what’s the message to take away from this new study? Since the genes factor was taken away in this study by using identical twins, it’s down to one twin being a better early reader than the other. Knowing that developing better than average reading skills has a chance to up our kids’ intelligence level, It is something we as parents can do something about. Let’s spend some time reading to our children from their early years, to help develop an interest in books and reading, and to help them build and improve their literacy skills. It’s not something unattainable, like having smarter genes. And if you’re motivated enough, you can also have fun teaching your toddler or preschooler to read at home, through a simple and highly effective reading program. No videos, no digital technology. Just simple lesson printouts you can do together with your kid. This was how I taught my own son Kaden to read at home. Any thoughts you have about this new study’s findings? Share your comments here with me, I’d love to hear about them! Can You Teach a Child to Read at Home? Yes You Can! Please note that if you click on links on this website and purchase items, in most cases, the owner of this site will receive a small commission through affiliate relationships with the merchants in question. This site is a participant in the Amazon Services LLC Associates Program, an affiliate advertising program designed to provide a means for sites to earn advertising fees by advertising and linking to amazon.com. Copyright © 2019 My Toddler is Reading. All Rights Reserved. The Magazine Basic Theme by bavotasan.com.